The gravitational force governs matter up to macroscopic proportions and beyond any possible depth, while plays the main role in things falling apart or decaying. This ineluctable interaction that controls closeness and distance, growth and decline, expresses ultimately the subjective division or the difference in itself. In this piece I wanted to retrace this action by organising the sound material according to backwards directionality; starting from an expanded, scattered situation the piece slowly collapses into a more dense, organic temporality, which possibly attracts or rolls back what is disintegrated at the beginning. Thus, musically, I explored scale explosion techniques, gaps dynamics, strategies for the sustain or degradation of the resonance and e-bow electromagnetism. A sense of stasis and dissolution, perhaps an obscure dynamism, emerges within the duration of the piece. Neither the signs nor the structure can fulfill a real musical movement, which hence remains undone. This seemed to me also a picture of the human condition, an ascending motion towards the bottom. The electronics in this piece uses the amplification as a musical parameter. 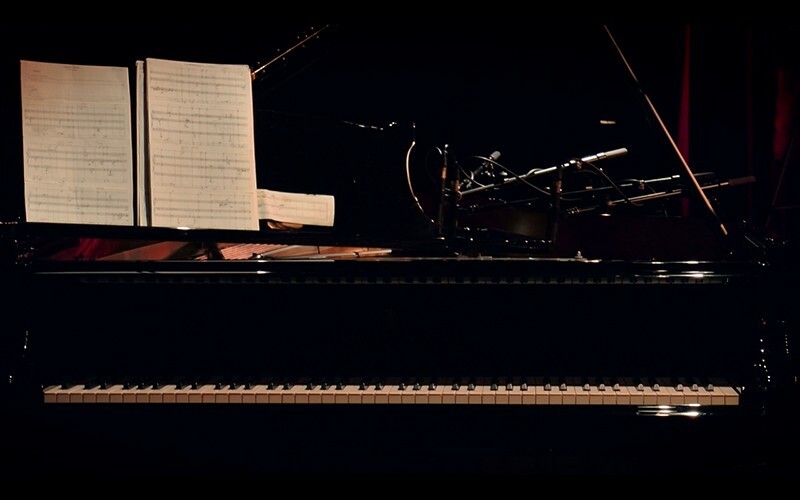 The microphones work as a lens zooming in and out the instrument’s mechanics; a second room – an electrocaoustic, immanent space – wraps the presence of the piano that resonates in the real room. At this point we have got a double concentric perspective: the music “played” trhough the instrument, and the instrument as an object (re)trouvé, “played” through loudspeakers. Nevertheless, those circles can’t excape the interaction between the performer and the piano. Unless otherwise noted, all of the material on this website is Copyright © by alessandro massobrio. All rights reserved.